If, as casual readers of current events, you have become aware of the escalating sense of urgency, with the impending multiple world crises, then you are most likely comprehending the current history making events as they unfold. Wars and rumors of war, pestilence, mysterious shakings in the heavens, earthquakes, AND now the ravages of world-wide famine are occurring around us at this very moment. Does this announce the Biblical introduction of the “End Times"? I cannot answer that. I am not qualified to assess those prophesized events from a theological perspective. I can tell you from a military frame of mind, a common sense evaluation and a law enforcement point of view, that these days are like riding on a big wild cat, and you ain’t seen nothing yet. I have been sounding the call for your total commitment and preparation as one crises leads to another. I have laid out before you the need to store food, water, natural medicines, weapons, rugged winter clothing, extra tools and hardware. I have suggested geographical locations and travel routes to many of you who just couldn’t quite figure it out. Further, I have warned you of shortages of fuels, bulk foods and ammunition. The message has been loud and clear. I know also that it has been easier to shove all this aside and get on with other, simpler things. Many of my fellow journalists have continued to spell out the why’s and how’s in articulate factual ways. They have contributed to the true history of the opening years of the twenty-first century. You have had all the information you need to do the right thing, the justifiable thing and the necessary thing in a timely and efficient manner, as I have said many times. Tens of thousands have heeded the call. Millions have not. Tens of thousands will make it through this coming “tribulation” (whether Biblical or not) and millions will not. Men, women and children will gather together in impromptu back woods camps, working, helping, guarding, hunting, fishing, planning and praying their way through what lies ahead. Millions will be in abject terror as the most evil among us pound at the door and break in the windows of cities and suburbia. And all of this just a stone’s throw from the soccer field where the Friday before, time and effort was spent on what you thought were the most important moments in all of one’s life. Does it matter now? We will look back after the final plunge into oblivion begins with trucks stopping along the highway. Trucks hauling the supplies we take for granted. No more money, no more $4.50 diesel fuel, and no more patience with a government more intent on controlling your lives than working toward a secure America with a prosperous, energy independent and debt free nation under their wheels. and detentions on a scale never before contemplated. cell phones and the internet. This will be so they can implement their battle plans without your knowing of it or being able to sound the alarm. We will be as isolated and vulnerable as any people anywhere on earth. That descent into utter darkness will put the last nail on the coffin of freedom as surely as though the founders had been put to the wall and executed. We are staring with blind eyes into the void of our own making. We have played soccer while the thieves stole our home towns. The damage is done. We have opened the doors to our refuge and found it bare. So, is there any hope at all? That is entirely up to each of you. The “Four Horsemen of the Apocalypse” are out there---somewhere---but riding toward us with the speed of the wind that is for sure. That you must accept and believe. If you do, then perhaps you will yet do what you should have done so many months and years ago to survive this disaster. I refuse to set timetables for the obvious reason. I do not have a web-cam in to the Heavenly realm and can not make those kinds of predictions. I can only view what is available to all of us and draw the obvious, commonsense conclusions. Our freedoms are almost gone. The government is on the fast track to surrendering our nation to the interests that have sought for centuries to rule us and the world. 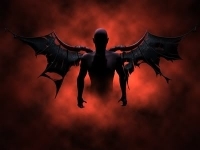 Presidents, businessmen, Congress, diplomats, military general staffs and bankers, oilmen, and false religious leaders have conspired to give our liberty and destiny to Satan himself. The legions of demonically inspired and driven men and women who have fought for leadership in this effort are well known to us and carry the names of Rothschild, Rockefeller, Solomon, Loeb, Illuminati, The Council on Foreign Relations, Bilderburgs, Trilateralists,Greenspan, Bush, Gore, Clinton, Obama, McCain, Schumer, Kennedy, Reid, Gingrich, Pelosi, Cheney, Elizabeth II, Putin, Ahdaminejad, Hussein, Hitler, Mao, Marxist/Atheist Israeli’s, Stalin, Lenin, apostate Christian ministers, Imams of all sects, Castro, Chavez, Genghis Kahn, Caesar, Pilate, Ramses and Cain. Our churches are small, cornered and quiet, or, large happy pill places that neither condemn sin nor recognize the Savior. Make believe ministers like Jeremiah Wright, Jesse Jackson, and Al Sharpton pretend to speak for their followers while chasing stardom and money that is their true god and their real goal in life. Life long politicians mentioned above like Schumer, Kennedy, Pelosi, Kerry, and Cheney are addicted to TV cameras. I have never advocated disengaging our work to change America. I know that many times, my message has seemed overly pessimistic and highly discouraging. That’s because it is! However, any good Army Sgt. or sports coach will tell you that when the team is behind or the platoon surrounded, it is then that courage, discipline, hard work and the absolute commitment to victory is the ONLY thing that matters. The bleakest moments can herald the brightest dawn. The ultimate outcome depends entirely upon you. To defeat Agenda 21 and Sustainable Development, civic groups have had to undo and eliminate the local decisions that were implemented without truth, disclosures or citizen input. It was excruciatingly difficult, but many have prevailed The “enemies” have had generations, indeed, centuries to unfold their plans. Many of their most devoted “visionaries” died years ago without seeing the ultimate victory. They did not quit. Their fight against us continues with added soldiers sinking millions into the fight for who wins, who controls it all. Greg Evensen Greg is an award winning Kansas Lawman and former Kansas State Trooper. He is author of The Sovereignty Papers and has completed two inspirational singing CD's "Hymns from the Heartland" and "After the Storm." 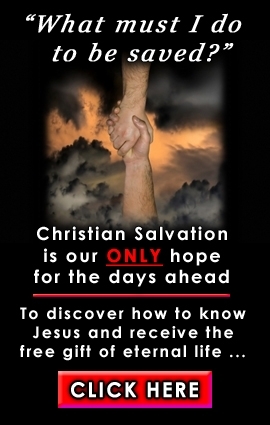 You may visit his website at www.theheartlandusa.com to get your copies of this and other materials offered by Greg. See the NWV central advertising banners for ordering information, also.